As you gather with Family & Friends this Thanksgiving holiday take a moment and count your blessings. 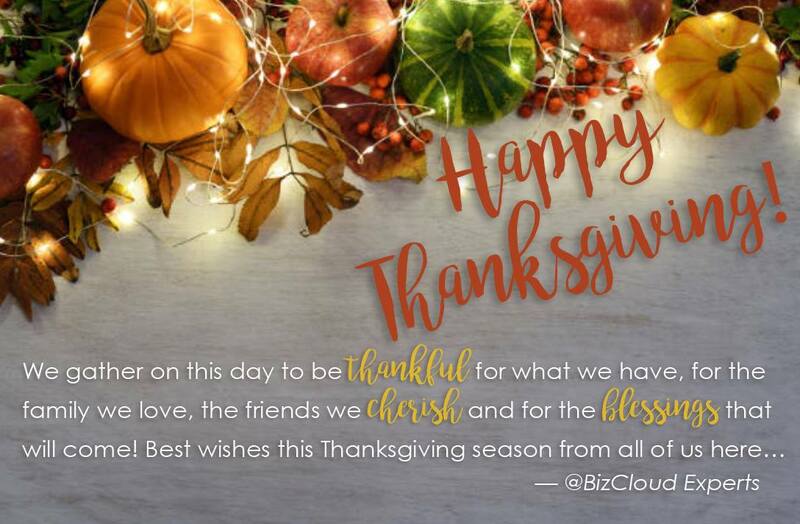 Warm wishes from all of us at BizCloud we wish you many blessings this day and throughout the year! — celebrating Thanksgiving.